Safaricom has today announced the winners of the 3rd Edition of the Safaricom Appwiz Challenge, which kicked off in July and saw 13 finalists selected to join a three-month incubation programme that began in September. This year’s edition of the Safaricom Appwiz Challenge attracted over 320 applications in four categories including Customer Engagement solutions, Safaricom Product Excellence solutions, Mobile Convenience and Out of the Box solutions. The competition saw thirteen finalists benefit from the guidance of coaches and mentors drawn from various ICT-based backgrounds, with the winners being selected based on the sustainability of their businesses, creativity and ability to scale up. Here are the top 3. This start-up emerged as the overall winner of the challenge, to bag the Kshs. 1.5 million grant. Lynk is a mobile solution that provides a platform for people in the informal sector to meet potential employers and seek job opportunities. Created by Adam Grunewald, Erick Obiero and Sharon Macharia, Lynk aims to provide an easy, affordable and reliable solution that will connect thousands of informal sector workers to people in need of on demand services ranging from plumbing and electrical work to gardening, painting and car repair. 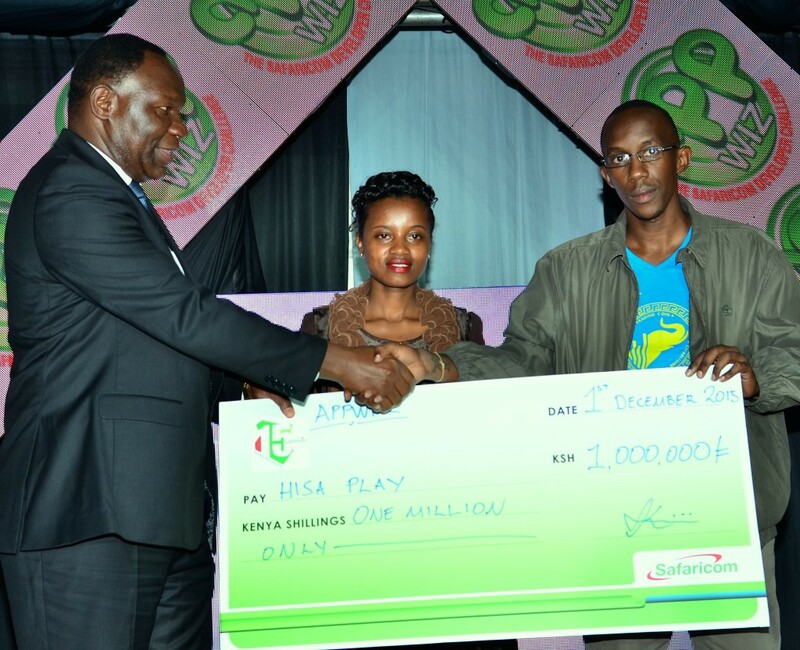 This start-up was 1st runners-up, taking home Ksh.1 million. It is a solution that simulates trading in the stock exchange and equips users with the skills to invest by using system-generated virtual currency to mimic the workings of the Nairobi Securities Exchange. They came in 3rd, taking home Kshs. 500,000. This is an innovative solution that helps farmers reduce wastage of harvest and track their income. On the competition in general, Mr. Ogutu said, “The competition has grown significantly since we launched in 2013 and this year we saw innovators present an even more refined set of ideas to our panel of judges, coaches and mentors. Victor Kyalo, Permanent Secretary in the Ministry of ICT additionally said, “This competition clearly demonstrates the fact that Kenya has a wealth of creativity and the ability to develop relevant, home grown technological solutions to our challenges and needs. This initiative by Safaricom is proof that partnership and co-creation can spur Kenya’s growth in ICT by connecting young innovators to the business community and consumers, thereby supporting innovation and creating employment,” he added. The three winners of this year’s Safaricom Appwiz Challenge will receive the amounts in form of grants towards growing their start-ups. Funds will be disbursed upon milestone agreements with their mentors and coaches.